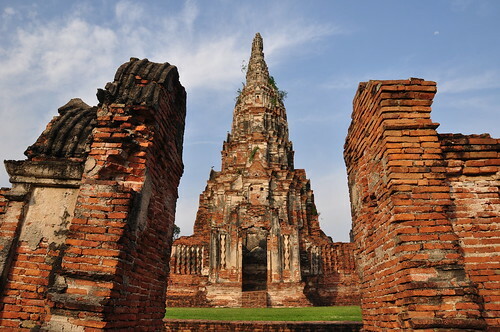 Ayutthaya is the ancient capital of Thailand from from 1351 to 1767. 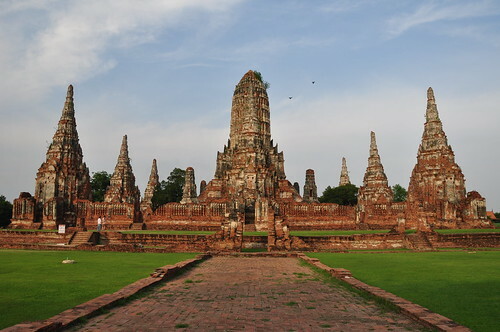 Known as the Golden Age of Siam, it was the period when Thailand was at its richest and most powerful. 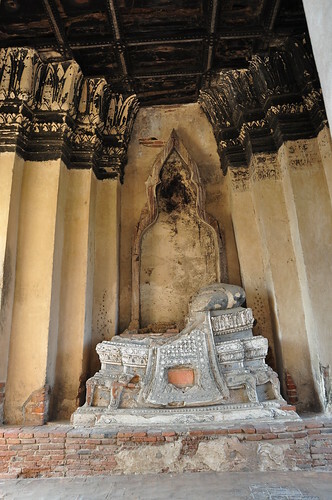 It fell from the Burmese invasion in 1767 but remnants of its past glory are found in the architectural ruins all over the city. The Historic Park has been listed as UNESCO World Heritage site in 1991. We were deciding between this and Damnoen Sanduak. While it must be delightful to take photos of the colorful and busy floating market, culture/architecture is always my priority coming to a new place. 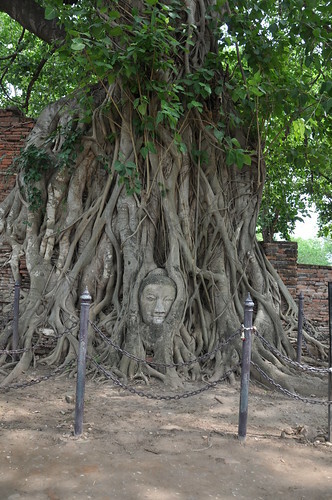 Luckily Ayutthaya has elephant park that I used to lure my sisters to agree. 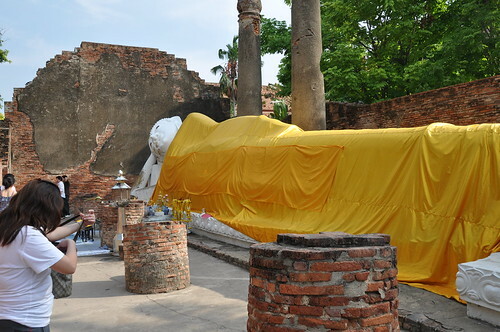 We hired a taxi to take us to Ayutthaya, around, and back. The price was 1000 baht + 300 baht for toll fees. I think it’s a fair price enough. 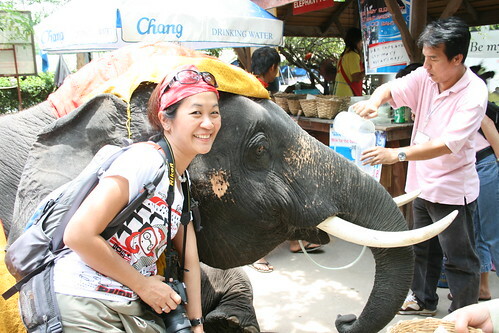 Elephant is the national symbol of Thailand. 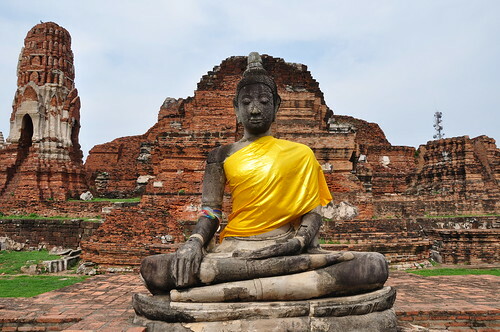 It played a special role in Thai history and religion. 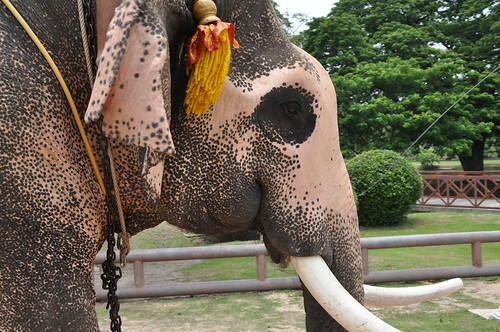 Modern day elephants though, have little use and is facing a significant decline in number. I saw a few fund raising drives organized by different groups for its conservation. The park (forgot to get its name)also has shows by 2 baby elephants. 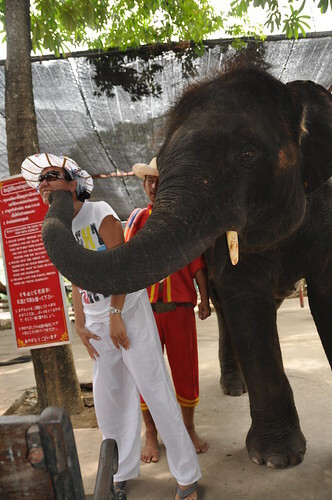 You can take a photo with them for 40 baht and they can do all sorts of tricks. Very cute! Really special walking inside these walls. It’s just so amazing to be standing on the same ground, very spot, and touch the walls those people been to 7 to 8 centuries ago. I felt like being transported back in time. 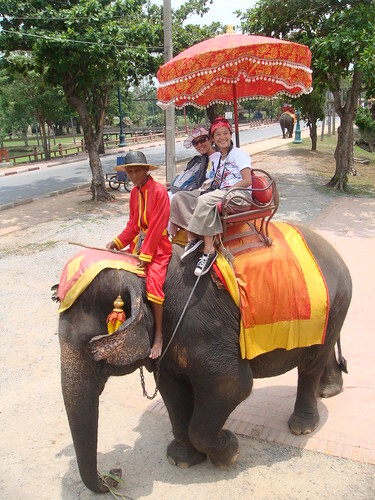 The elephant ride looks like a blast! Will definitely be following that recommendation. What was your favorite experience that day? Congratulations on a fine blog and some truly great photographs! A member of the travel community at trivago has added a link to your site. Perhaps you would care to also share your experiences directly at trivago? The architecture is amazing. How I would love to see that in person. 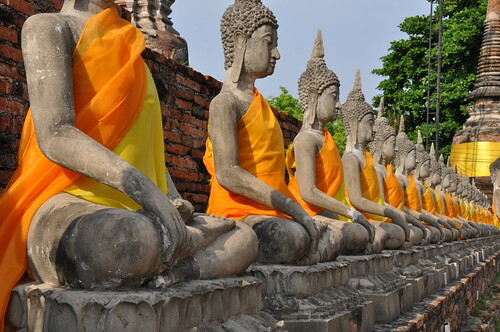 The buddhas lined up reminds me of the path to the 10,000 buddha monastery near Hong Kong. Great post. Thanks for sharing.